From left, winners Talia Santos, Adelyn Uppena and Benjamin Kuhn stand next to president David Duff. 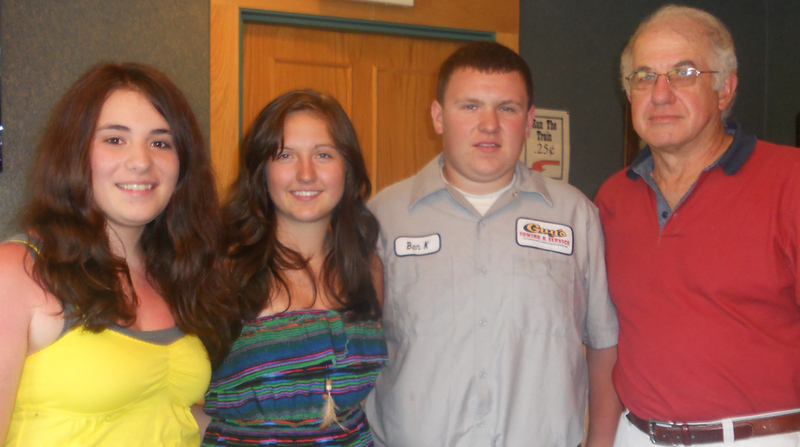 GALENA–The Kiwanis Club of Galena honored three area Galena High School graduates in presenting its annual scholarships at the Galena Happy Joe’s on Tuesday, June 19. Benjamin Kuhn earned the Vocational Technology/Junior College Scholarship. Adelyn Uppena earned the Four-Year College Scholarship. Talia Santos earned the Thomas Sprague Memorial Scholarship. This scholarship is named after longtime Kiwanian and community leader Thomas Sprague, who served as Kiwanis Club of Galena president for years.